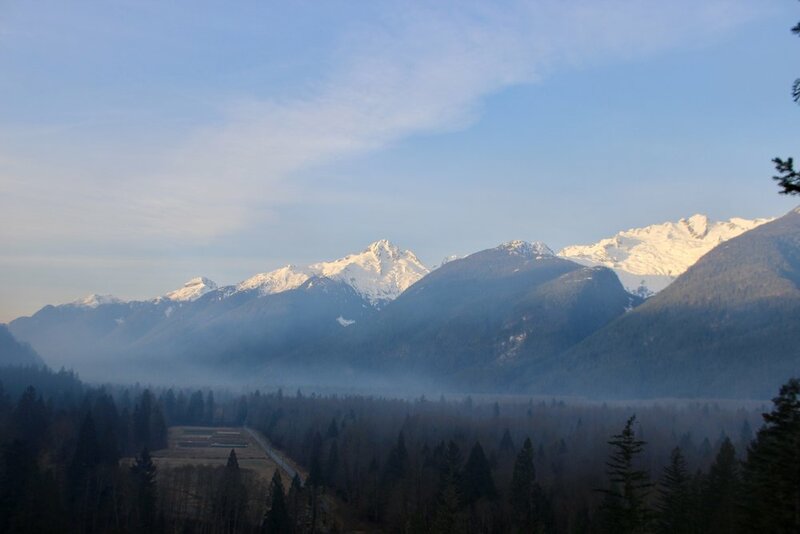 A few weeks ago, a visitor asked a sister, “What do you do for Lent in the monastery?” And sister thought, “That would be a good article for the website.” So: what happens at Queen of Peace Monastery for Lent? On Ash Wednesday, the first change you’ll notice are the psalm tones, the musical arrangements we use to chant the Liturgy of the Hours. Our liturgy has different psalm tones for Advent, Christmas, Lent, Easter and Ordinary time, with each season’s tones reflecting its spirituality. The tones for Lent are sober, and often in a minor key. However, the Benedictus and Magnificat are always sung in a major key, as they recall the good news of our salvation in Christ! Along with special hymns and the Mass of the Samaritan Woman (composed by fr. André Gouzes, O.P. ), this once-a-year music immediately leads us into the “wilderness” (as the Gospel for the first Sunday of Lent reads). 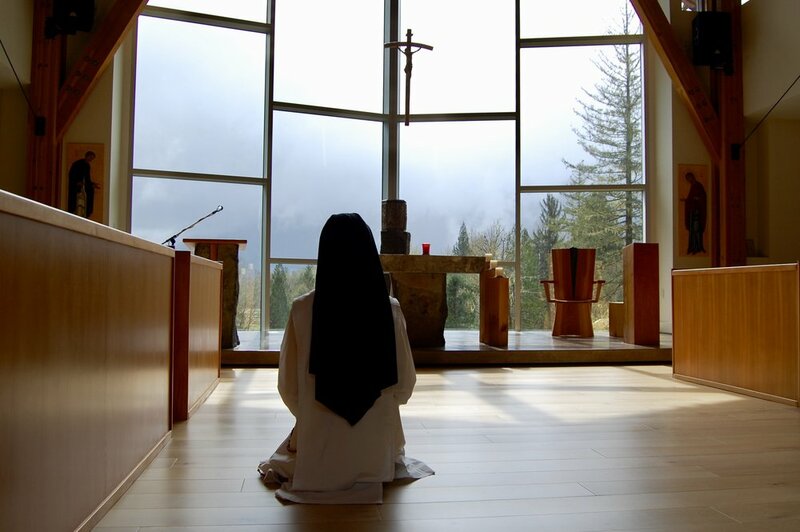 Each sister’s personal prayers and practices are private, but as a community, Lent is really a time to slow down and enter more deeply into silence. During Lent, we refrain from unnecessary correspondence and visits with family and friends. Our food is usually quite simple, but there is an extra focus on simplicity and frugality, with the money saved being given to the poor. We look at what we really need, spiritually and materially, and let go of what is taking up space that should be reserved for the Holy Spirit. We remember to seek again the beauty of our life with God, for the salvation of souls and life of our world. This spiritual wilderness prepares us for Paschal Triduum at Easter. As Lent continues, the readings of the Liturgy ask us, again and again, to return to Christ, to be more deeply united to Him, and to leave behind whatever separates us from His Love. Like St. Paul, we say: “I want to know Christ, and the power of His Resurrection, by sharing in His sufferings and becoming like Him in His death, if somehow I may attain the Resurrection from the dead. Not that I have already achieved this, or reached the goal, but I press on to make it my own, because Christ Jesus has made me His own.” (Phil. 3:10-11) To choose Love, above all else, is a kind of death—to selfishness, to anger, to all the other passions that the Desert Fathers and Mothers write about. But because this Love is God, this “death” leads to life for us and for the world, as we share more fully in the life of Christ and the Holy Trinity. As Holy Week approaches, you can begin to see little pockets of activity as sisters prepare for the Paschal Triduum. Some preparations are routine; others, sisters work very hard to keep as a surprise for the community until the Vigil itself! Above all, we ask the Holy Spirit to make this season fruitful, to lead our community and each one us into deeper union with God. We wait, and pray, and watch for the “wilderness” to bloom. May God bless you, and those you love, as we prepare to enter Holy Week. If you’re in the area, you are most welcome to join us for the liturgy during Triduum. You can find our schedule here.